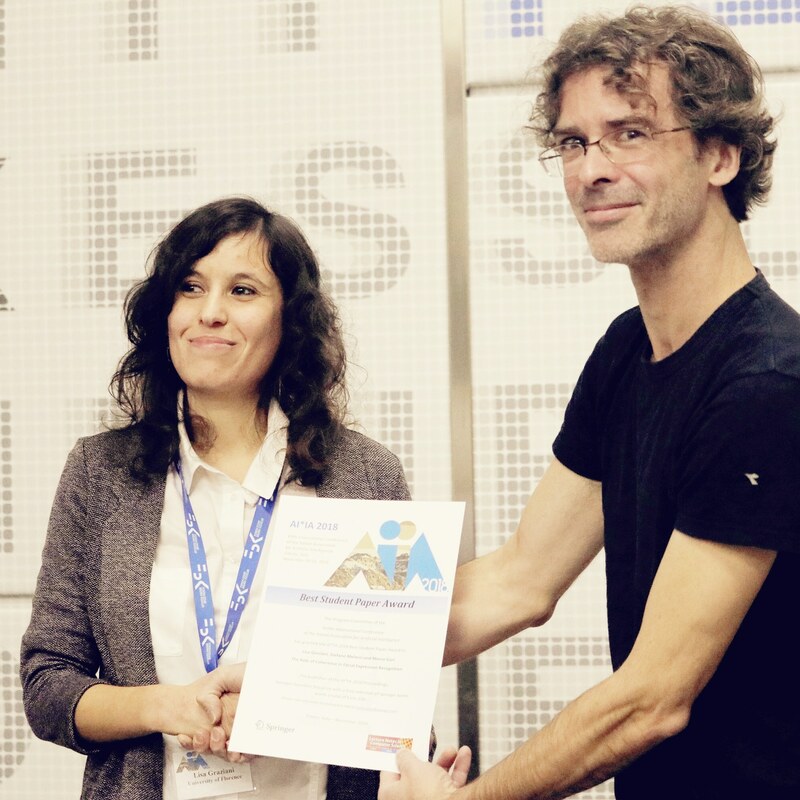 Lisa Graziani, PhD Student of Universities of Florence and Siena, received best student paper award at AI*IA 2018 (International Conference of the Italian Association for Artificial Intelligence). The awarded paper is “The Role of Coherence in Facial Expression Recognition” written by Lisa Graziani, Stefano Melacci and Marco Gori. It will be presented during the conference, that will be held at Trento on November 20-23.